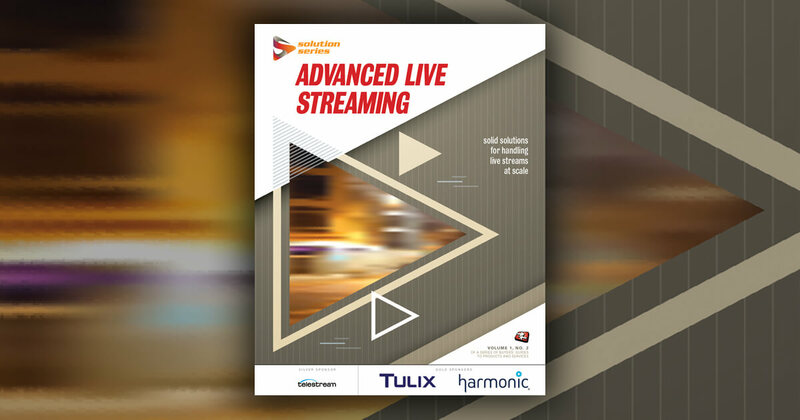 Learn more about AI and context-aware encoding at Streaming Media's next event. Tim Siglin: Welcome back to Streaming Media East 2018. This is the second day. I'm Tim Siglin, contributing editor with Streaming Media magazine, and I've got with me my good friend Matt Smith. Matt, you jump companies like I fill my gas tank in my new SUV. But I think you're still at Brightcove, right? Tim Siglin: Getting acquired. And then you decide to leave really quickly after that. There was news recently ... in fact we talked about this on the SM Advanced Forum, which you've been a guest on, about Cisco selling Videoscape, or looking to shop Videoscape. In that it was bought around the same time as the ... I can't remember what the three-letter acronym was. Matt Smith: NDS, which came a little later. Tim Siglin: Okay. And were those two essentially combined together to create Videoscape? Matt Smith: No, there were many components that formed Videoscape. I mean Videoscape was a concept that Cisco was putting together at the time Inlet was acquired. Inlet became a piece of the pie, if you will. And there were a handful of other companies and technologies, security, video, transactions that were part of what became Videoscape. Tim Siglin: It seems interesting to me, Ericsson has had some difficulties sort of figuring out the video services model. Cisco's had difficulty. They're at their core network delivery companies. Is this a trend that we're seeing in the industry, that companies who thought video was going to be the next growth engine for them, they're sort of having to go back to basics? Matt Smith: Yeah, I think there's a disparity in what strategically, a handful of people in a conference room thought 10 years ago, was that we're in the data movement business. We have switches and thinks like that, and video ultimately is just a one and a zero. There's a lot of bits that can be moved. I remember an executive telling me years ago that one day we'll do encoding right on that switch, right? So look at the top of that rock and see those blinking lights and we'll be doing video there too. And I thought, that's pretty bold. Tim Siglin: And there were companies like Optibase and Black Arrow and some others who did essentially 5-9 solutions, but they were very limited to MPEG-2 only, the certain data rate. And that type of thing. Tim Siglin: Right, of course. Matt Smith: But number two, delivering video at mass scale, we're still finding, even at the OTT side of the fence, it takes a long time to get where TV is, because TV's been doing it for 100 years. Tim Siglin: In fact, I was telling someone the other day it feels like with HDR and things like that we're finally getting back to what TV was 25 years ago, or at least attempting to get to a picture quality that looks close to what we did in film and original NTSC television. Matt Smith: Sure, but back to the big-heavy-iron scenarios. I think what happened there, and is continuing to happen, is that you're realizing that virtualization has changed all this. The cloud, the notion of the cloud being able to crunch that video and do things elsewhere in these massive compute resources, has totally changed everything. I remember back to the Inlet Technologies days when we had the Armada product. We would have someone who would call us and say, “I've got this library of 10,000 titles, I'd like to license this, how quickly can I do it?” And the question evolved to, “How much hardware do you have?” Now that balloon is squeezed, and the power if you will has shifted to, as long as you've got a decent pipe to get them on that on ramp, we can process them in the cloud and do whatever you want. The same applies for live linear, right? If you can get 10, a hundred signals out of a facility into the cloud, and you don't have to use the traditional Fiber or satellite, right? That's changing a lot. TS and SRT and the quick standard are the new cool widgets in the Swiss army knife that get that content out of that facility into a cloud workflow where it can be manipulated, changed, we can do whatever we want with it, and then distribute it to wherever we needed to. And just three and give years ago you and I were sitting here talking about the newest iPhone or the newest Samsung Galaxy. Now it's FireTVs, Rokus, AppleTVs. It's where else can I get this content. Tim Siglin: Tell me what you're doing at Brightcove. Obviously, we've got the context-aware encoding that you all are doing. You work on the media side, standing up the next-generation television delivery so to speak. What are the key points for Brightcove this year? Matt Smith: CAE's been the really exciting one. I know you and I have talked about that at length. We had really, really good feedback at NAB about what that technology can do. Being a bit selfish I would say you're going to hear a lot of similar sabers rattle the next year to 18 months. But there is really a fundamental science to this, and we have someone on staff who's very smart, I know you've talked to. Ph.D.-type Kodak genius, who is keen to point out that there are certain rules that you can break and make things look like I improved the quality and I saved a bunch of bits and bandwidth. But the moral of the story is there is a very scientific way of doing this that doesn't degrade the signal, that doesn't change the number of frames, where there's a very smart algorithm that says where you used to use eight data rates for this at these rates that you're familiar with. I've gone through and crunched this and spit out four, or three data rates that are scientifically baked that will not show any difference in perceptual quality, but will reduce the amount of throughput and storage. That's still very exciting. So I've had a couple of different customers with different types of content, and that's the important thing. Is you know, the actual mileage is going to vary from a cartoon all the way up to an indie car race or something like that, right? It's going to be different all along that curve, but all of them are collectively saying this is really cool and we need to invest in this in our own organization, their organizations, I should say. Tim Siglin: In fact, I remember one test case video you used years ago, was I think a US Open or Wimbledon, where the video encoder was focusing on making sure that the players were visible, the ball was visible, but the faces in the crowd were just completely blanked out, and the perceptual quality optimization pieces there, context-aware, would say, “Okay the faces are important so we can throw away the clothing so to speak, but not necessarily—"
Matt Smith: Well, and I think just to kind of dovetail off that, I think we're gonna get even better at it as an industry, not just Brightcove, in the next couple of years because the things that machine learning are enabling us to do are just astonishing. I don't ever want there to be weaponized capability in the cloud, then we're all going to be dealing with SkyNet. What else is going on? We are focused this year on broadcasters and helping them to understand the suite of tools and services that we offer to help them. Whether it's a single channel on a news programs that hit various times of the day, if it's a 24/7 thing. But reaching those organizations, or even station groups to say here's a suite of services that you can use, where you may not have had that much choice before. So it's an area of focus for us. Tim Siglin: And broadcast tools like dealing with SCTE 30/35 and some of these other issues that a broadcaster has to deal with that aren't necessarily an OTT issue. Tim Siglin: Being able to deal with hitting all those fragmented audience groups and like that. So Matt, as always, appreciate your time. We'll be right back with our next guest.